We are one of the largest security cameras installers specializing in security cameras installation in the entire Metro-east including Fairview Heights, Belleville, Swansea, Shiloh, O'Fallon, Collinsville, Edwardsville, Glen Carbon, St Louis, Granite City and Alton Illinois. We provide a full range of security cameras (video surveillance cameras installation in the entire Metro-East Area), sales, and service including CCTV cameras installation in the St Louis Area, IP cameras installation, HD cameras installation and cloud video surveillance cameras installation. We offer full design and installation of all security cameras installation. As leaders in video surveillance cameras installation, solutions and equipment, Metro Lock and Security is pioneer in the industry. Depending on your budget, Our consultants will make sure you look receive exactly what you are looking for based on your budget. We offer advanced technology and can customize security camera cameras to suit your needs. Whether you need security for your home or business, you can rely on Metro Lock and Security due to our experience on offering quality products for all security feartures in the entire St.Louis market. We provide quality service that is economic as well as efficient. 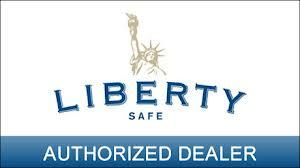 At Metro Lock and Security your safety in your home or business is our what we strive for. Card access relies on keycards, normally flat and rectangular-shaped pieces of plastic, that are presented to a card reader. Access control card readers are used in physical security systems to read a credential that allows access through controlled points, often a locked door.